August 31, 2015 September 30, 2015 / Elizabeth T.
Can you all believe that August is coming to an end already?! As with every month’s end, here’s another compilation of my favorites for this month! I hope you all enjoy, and let’s get started! 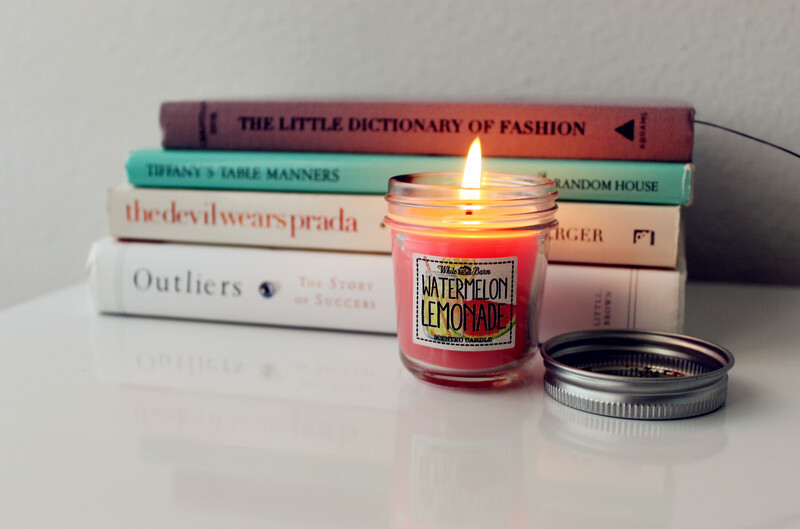 First on my list is Bath & Body Works’ Watermelon Lemon Mason Jar Candle. This candle has been my go-to at-home scent this season because there’s just something so refreshingly sweet about this candle that reminds me exactly of a hot summer day spent sipping lemonades while reading on the beach! 🙂 Now that summer’s almost over, I’m glad I still have this candle to bring back some memories of warmer days as we transition into the fall! 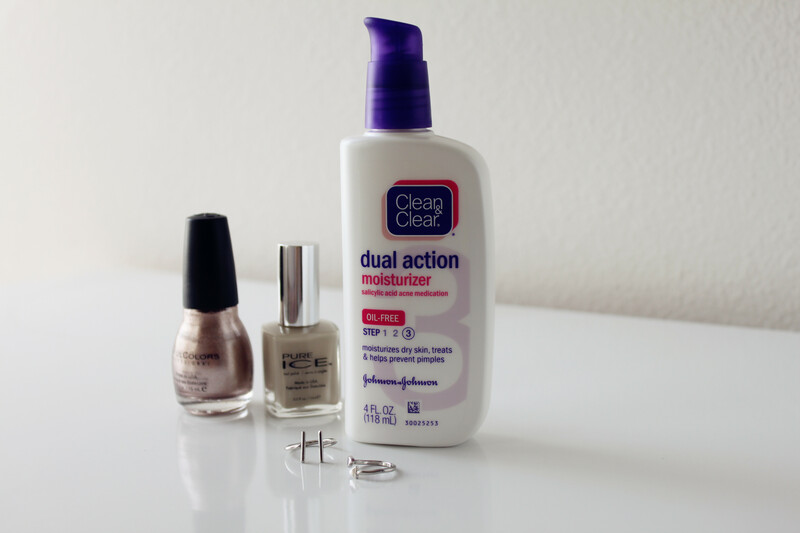 Up next is Clean & Clear’s Dual Action Moisturizer. 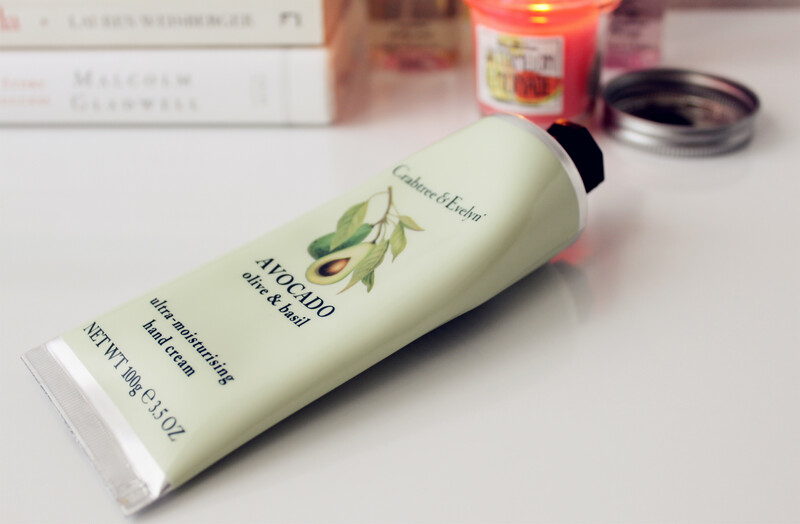 Rather than using this on my face, I instead use it for my chest and back as both an acne treatment and moisturizer. Rather than breaking out on my face, I’ve always been more prone to acne on my chest and back, and once summer comes around, the hot weather always makes my condition worsen. Over the years, I’ve tried a lot of different treatments, but overall, I find Clean & Clear’s moisturizer to be the most effective because it’s not overly drying since it contains a moisturizer along with salicylic acid 🙂 A big plus – it’s so affordable and super easy to get since it’s sold at your local drugstore! I just apply about a quarter sized amount to my chest and back after I shower, and it’s really been helping my keep my condition under control this summer! 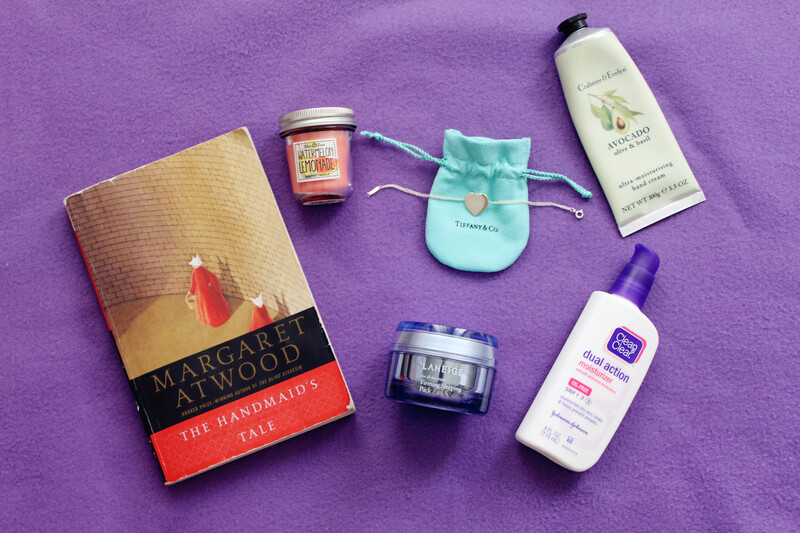 Finally, my favorite read for the month is The Handmaid’s Tale by Margaret Atwood (). 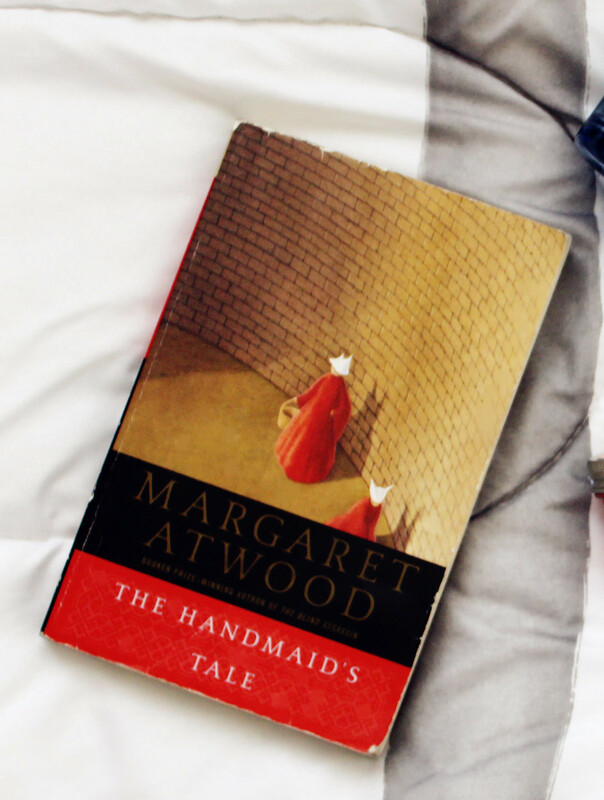 One of her most popular novels, Margaret Atwood’s The Handmaid’s Tale is a dystopian story that explores issues related to power, gender, and religious politics. This book, though published in 1985, is such a bone-chillingly accurate portrayal of the modern day feminists’ nightmare, and it’s such a good read. I’ve been a fan of Margaret Atwood’s writing since my university days, and this book by her definitely does not disappoint! A good read for anyone looking for something more vivid and terrifying! This is a group list of favorites, I do agree that the clean and clear moisturizer is really good at helping acne. Love your faves! 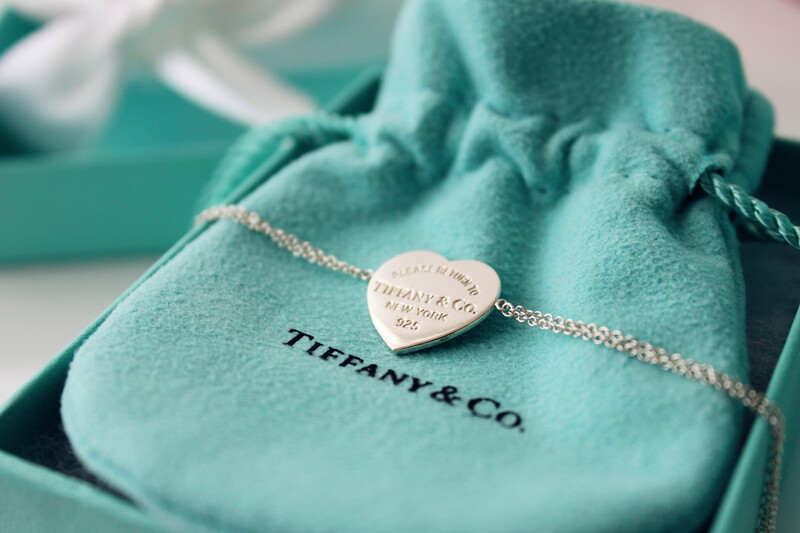 The necklace is super cute! 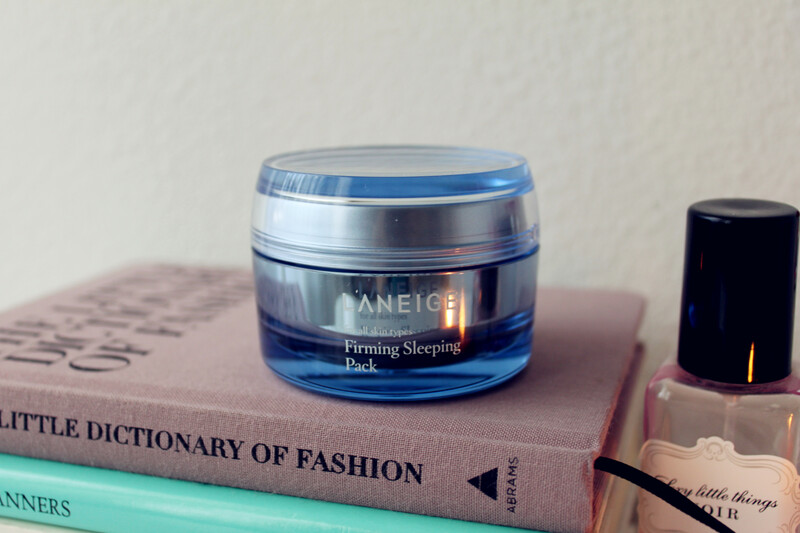 such great products! & stunning images!! Thank you dear! ❤ Hope you enjoyed the post! Yes, it’s been one of my favorite scents this whole summer 🙂 ❤ Can't wait to shop for some autumn scents too! aww elizabeth, why haven’t you worn that bracelet much? it’s such a beauty!! 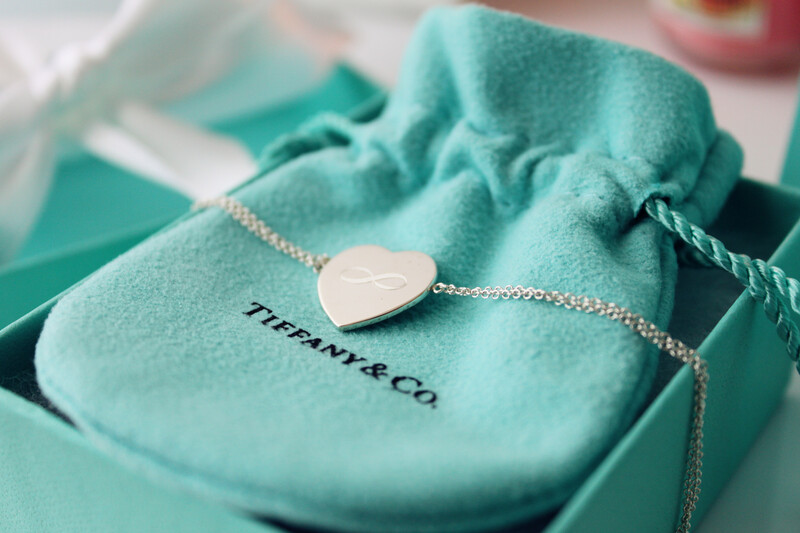 The bracelet is soo cute, love it! That candle sounds like it smells amazing! I absolutely love anything citrus, will have to try it out!